Independence (from high energy bills) Day for Amy Cook! One thing about her new home hasn’t been so comfortable though. 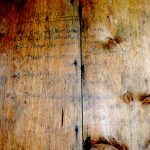 Amy’s house, like others along her gravel road, was built as a summer residence, evidenced by the faded instructions on how to winterize the house written on the entrance to the crawlspace. 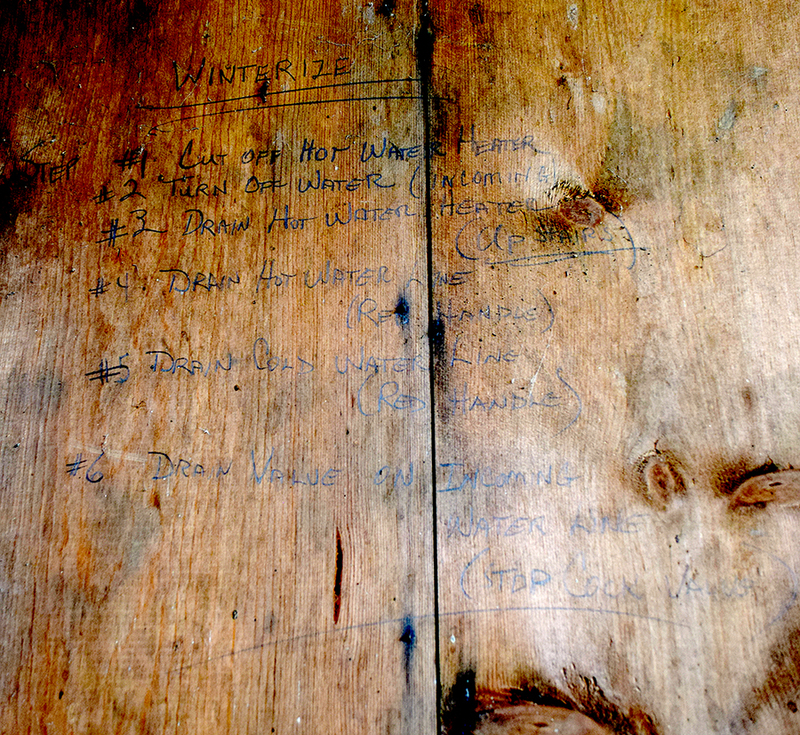 This means the home was wholly unprepared to take on winter in the mountains. Thankfully, she heard about our High Country Home Energy Makeover Contest while at her job at the Watauga County Public Library and was ultimately selected as the grand prize winner. 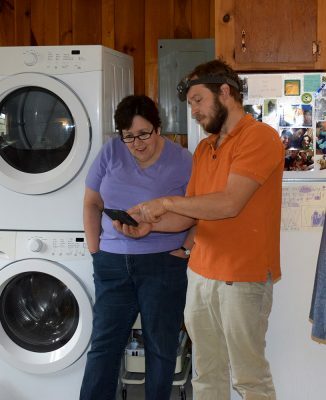 After thoroughly analyzing how Amy’s cabin uses, and loses, energy, John determined that upgrading her heating system from the current baseboard heaters to a highly efficient mini-split heat pump would save her the most money on her energy bills and greatly improve the comfort of her home. “I was thinking, if I could just get storm windows the problem would be solved,” Amy explained how the audit process changed her mind. 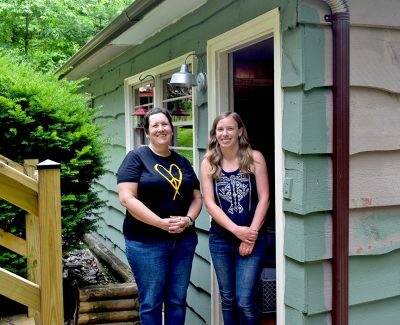 “I didn’t understand that [a new heat pump would have a greater impact] until John and I got to talk and he explained everything.” The heat pump will also be able to cool her home and could supplement or replace the current window AC unit. Amy isn’t the only person in the High Country struggling through the cold winters with astronomical energy bills. Thousands of our neighbors spend more than 20% of their income on energy costs each year, largely due to energy wasting homes and appliances. Some electric co-ops in the region, like Roanoke Electric Cooperative in eastern N.C., have decided to help people like Amy afford energy-saving home improvements by adopting financing programs for energy efficiency that are accessible for everyone, including renters and low-income households. Despite widespread need in the region and strong co-op member support, Blue Ridge Energy has decided not to implement a similar program even though there is federal funding available. Learn more about our Energy Savings for Appalachia campaign and contact Lauren Essick, our NC Energy Savings Outreach Coordinator, at lauren@appvoices.org or 828-262-1500 to learn how YOU can demand better clean energy programs from your electric co-op. Originally from Virginia, Katie is serving as the 2016-17 AmeriCorps Energy Savings Outreach Associate in Boone, N.C.